Welcome to Wighton's Heating and Air Conditioning. We take pride in our business and the services we offer you, our valued customers, at Wighton's. 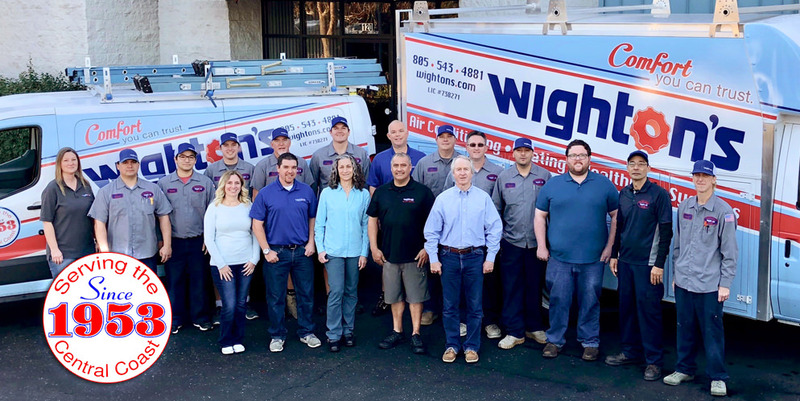 Centrally located in San Luis Obispo, California, Wighton's has been servicing the Central Coast since 1953. With our state of the art 6,000 square foot facility and fully equipped fleet, we are able to prompt and provide timely service to our customers. Wighton's Heating and Air Conditioning is the leading provider of residential & commercial heating and air- conditioning systems. We want you to be informed about what we do and what your options are when it comes to the care of your systems. Explore our "Information Library" section of our menu to learn about easy things you can do to save money. 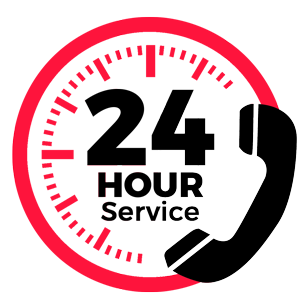 Your satisfaction and comfort is our #1 priority! Our team is comprised of dedicated, highly-trained and knowledgeable professionals. We take every precaution to ensure you and your home is treated with the utmost respect. Wighton's Heating and Air Conditioning is the Most Trusted contractor on the Central Coast. Please contact us so we can start the conversation. Click Here to View our Satisfaction Guarantee! As a Homeowner what does this mean for you? NCI certified professionals, using the methods and training that Performance-Based Contracting provides, help you solve a wide variety of comfort and safety issues in your home, with a focus upon measurable results and utmost professionalism. comfortable, safe, and energy efficient, please visit our site by clicking the button above. Not sure whether to fix or replace your air conditioner? Let Wighton's evaluate it & help you make an informed decision. Keep your home warm and cozy during the colder months by making sure your furnace is running at its highest efficiency. We service every type of system associated with most small businesses, from the most modern to the most antiquated. Let Wighton's test your home's furnace & air conditioner to make sure the air in your home is as fresh as the air outside. Heating and Cooling costs the average homeowner about $875 a year – nearly half the home’s total energy bill. If your Air Conditioning unit is more than 12 years old, replacing it with an ENERGY STAR certified model could cut your cooling costs by 30%. We will be at the SLO Home and Garden Expo on May 4 & 5! Come Stuff a Pup like this adorable girl did at the one in Paso Robles! This quote can't be anymore true! Happy Monday! How are you going to make this a successful week? The weekend is for catching up on sleep, and this pup agrees! Want your furry friend to be posted on our social media? Share pictures of them in the comments for them to possibly be featured here on our account! Looking for advice on when to replace your heating and air conditioning system? Watch this video! Happy Saint Patty's Day! How are you celebrating this fun holiday? Comment below! Hey you! Congrats! You made it to the weekend! What are your fun plans for the weekend?